NASA astronaut Jeff Williams and Roscosmos cosmonauts Oleg Skripochka and Alexey Ovchinin are preparing for launch to the International Space Station. 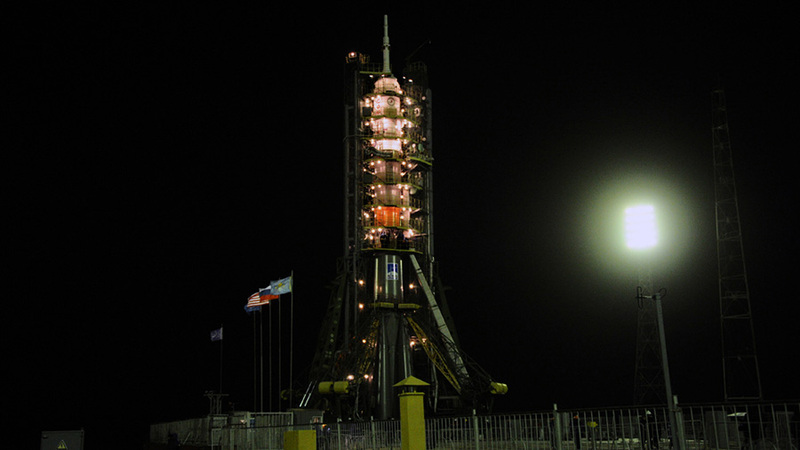 Their six-month journey will begin with a lift off in a Soyuz spacecraft today at 5:26 p.m. EDT. The crew is scheduled to dock to the station at 11:11 p.m. EDT after a six-hour journey. The trio will join Expedition 47 Commander Tim Kopra of NASA and Flight Engineers Tim Peake of ESA (European Space Agency) and cosmonaut Yuri Malenchenko of Roscosmos. Together, they will bring the total to six crew aboard station, which will once again be fully staffed after operating with only three crew members following the departure of a separate trio on March 1. During his six-month mission, Williams will become the new American record holder for cumulative days in space – 534 – surpassing Expedition 46 Commander Scott Kelly, who wrapped up his one-year mission on March 1. Williams will take command of the station on June 4 for Expedition 48. This will be his third space station expedition – another record. The Expedition 47 crew members will continue several hundred experiments in biology, biotechnology, physical science and Earth science currently underway and scheduled to take place aboard humanity’s only orbiting laboratory. Williams, Ovchinin and Skripochka are scheduled to spend six months on the station, returning to Earth in early September 2016.